– 26th Annual Zora Neale Hurston Festival (ZORA! Festival), January 24 – February 1, with highlights being the 2nd ZORA! 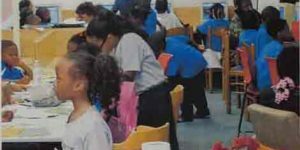 STEM Conference for students in grades 6-12; the first-ever Historic Black Towns and Settlements Historic Preservation Conference; and the publication of the 2015 edition of ZORA! Magazine. – The Zora Neale Hurston National Museum of Fine Arts (The Hurston) Retrospective Exhibition at the HUB-Robeson Galleries at Pennsylvania State University. – P.E.C. Staff member being elected to the Board of Directors of the Historic Black Towns and Settlements Alliance. To solidfy 3-5 years of funding (government/education/private) on behalf of the ZORA! STEM Initiative. 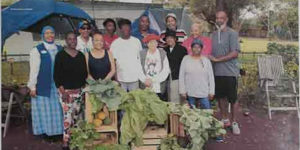 To advance plans for 2018 launch of a Seasonal Farmer’s Market based on organically grown produce by the Yards & Gardens Club of Historic Eatonville.